Don't worry about your distinguished facial hair any more!!! Don't need to waist time and money in the expensive barber!!! 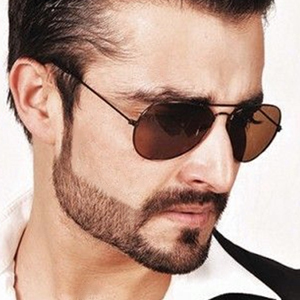 Shape your own facial hair any way you like quickly and easily!!! 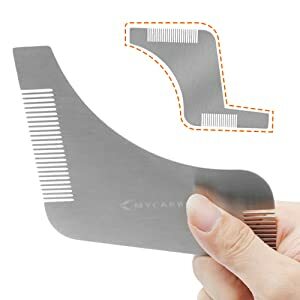 Why choose MYCARBON Beard Shaping Tool with Comb ? 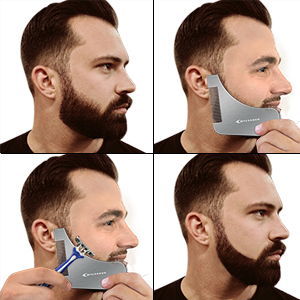 New Z design Beard Shaping Tool with handle - Easy to grape,can shape your facial hair like your cheek/neck/ jaw line,Goatee,Mustache very well. Save Time and Money beard trimming guide - Create many different beard styles by yourself,easy to get a professional-level trim or crisp shave. 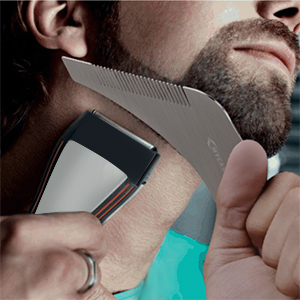 Perfect Symmetry Shave Line - Hold the handle,fix the position,easy to make symmetry shave line. 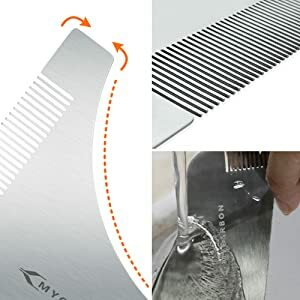 Stainless steel material beard grooming kit - Better than wooden or plastic beard template,more durable and anti-static,and easy to clean. 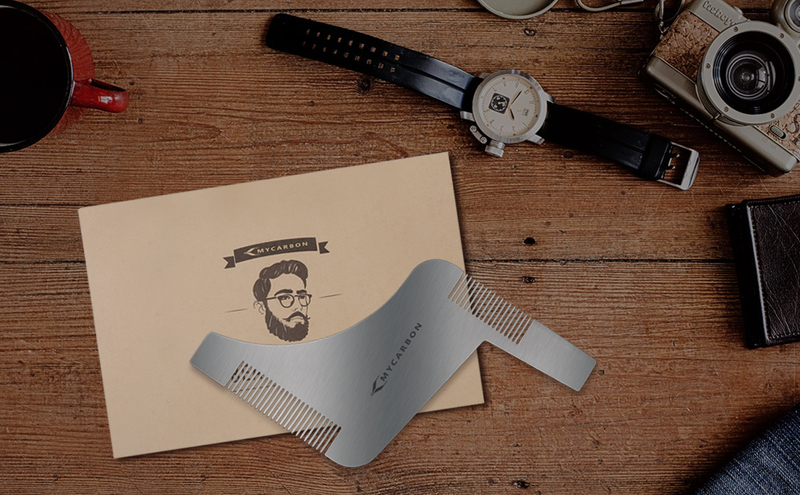 Please keep the beard shaping away from the children because this beard template is made of stainless steel. Mustache & Perfect cheek/neck/ jaw line. - Better than wooden or plastic beard template,more durable and anti-static,not easy to be broken. - Polished edges,can protect skin from scratching.